Cars don't get much simpler than this. The original Sprite was, of course, the Bugeye Sprite. It was unique looking, but simple and spartan. The second generation body-style, like this one, was introduced in 1961. It didn't have the unique look of the Bugeye, but it offered a few more creature comforts and conveniences. By the time this car (a Mark IV) was built, the Sprite came with most of the things you'd expect to find on a car (i.e. roll-up windows and exterior door handles). 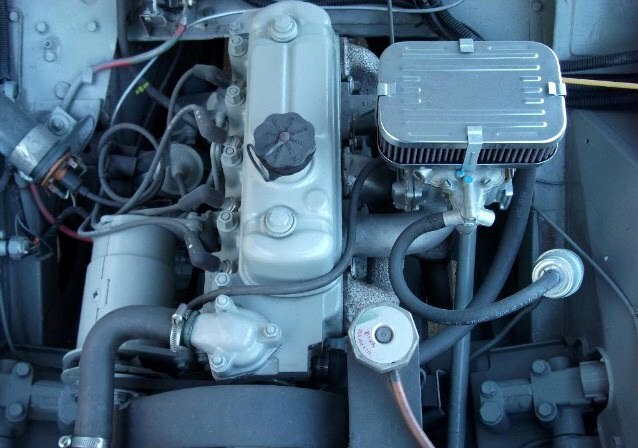 The Mark IV was also the only Sprite to have a fold-down top (eliminating the Erector Set style earlier top) and separate brake and clutch master cylinders. 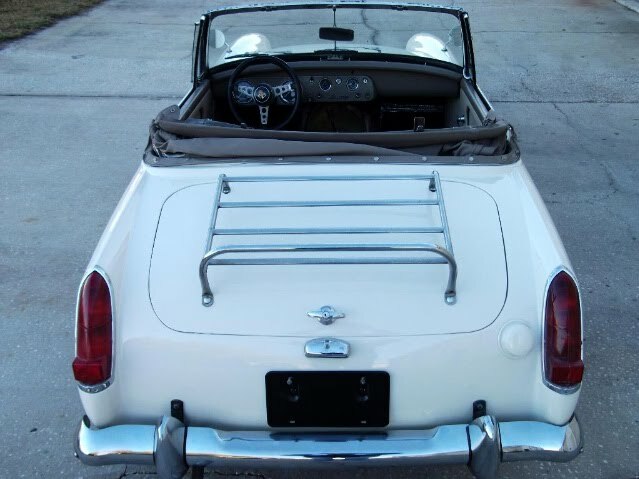 This car has a hardtop included with it. 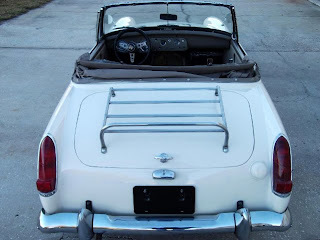 These were cool back when the car was new and people drove them year round, but kind of useless today. Still, it's nice to have. I'd take it off (it does nothing for the look of the car), stow it in the garage rafters and forget about it. I like this auction. 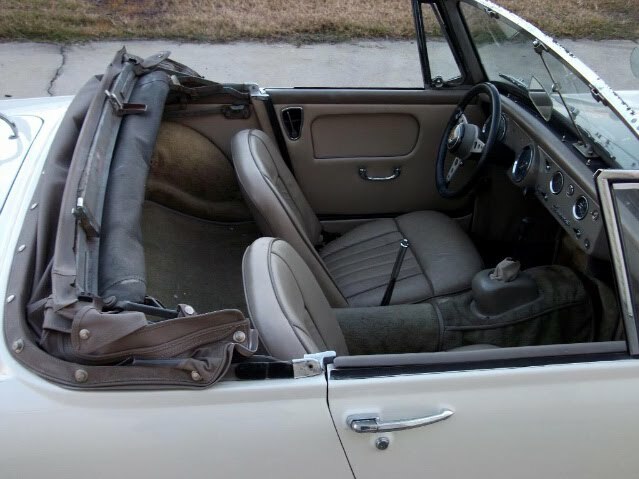 The seller is offering the car with no reserve and guarantees that "It's just as I describe or your money back. No questions asked." 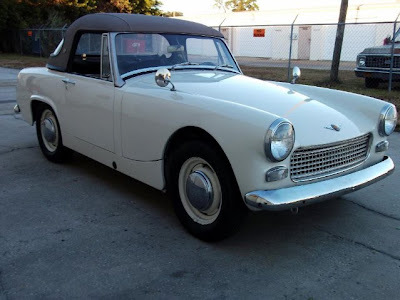 The Austin Healey Sprite (and it's sister, the MG Midget) is about as simple a car as you'll ever find. It's easy to work on (I once bought and restored an MG Midget for my ex-significant-other) and parts are relatively inexpensive. It's also fairly reliable. The downside is that it's tiny and not especially comfortable. It's not very quick (The seller claims it will do 100 MPH. That may be true, but from my experience with the Midget, that's not something you'd want to do often, if at all. ), very noisy, and has a rough ride. The bottom line is the Sprite is not a Miata. It's an old-school sports car with lots of old-school charm and old-school faults. Still, unless I was looking for a sports car I could drive everyday, all year round, I'd take this Sprite over a Miata in a heartbeat. Located in Winter Haven, FL, click here to see the eBay listing.